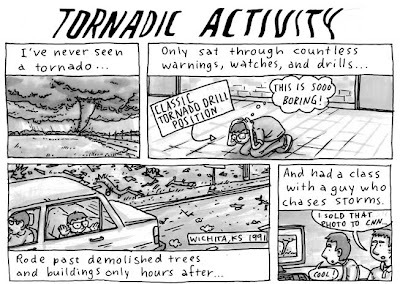 sounds very familiar, but i DID see the mulvane tornado (from my father's porch of course), and i DID see the landis house and car in the field 1/2 mile away. keep watching, but be safe! 47 years old, always lived in tornado alley, worked for newspapers trying to find one to take a picture of for 12 years. Have never seen the elusive air funnel.